Straightforward. Employee‐friendly. Small business focused. 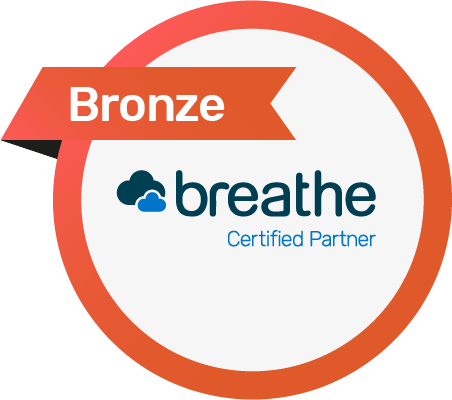 Acorns & Oaks have chosen breatheHR to partner with because they are small business focused. Like us, they are a small business themselves and are also locally-based in the south-east of England. There’s no tie-in or contract, you just pay a monthly subscription. The success of your business relies on developing your employees – not managing paper. Focusing on simplicity and ease of use, this cloud HR software solution is designed to tame the chaos, enabling you to look up from your desk and lead your people. Cumbersome HR systems are officially a thing of the past. Keep all your employee information in one place and automate all those time-consuming HR admin tasks. With customisable reports, automated and streamlined processes, this system gives you the tools you need to support your business. – easily and safely access all your HR data from anywhere with an internet connection. – with a straightforward holiday allowance display, employee self-service, and a central holiday calendar. 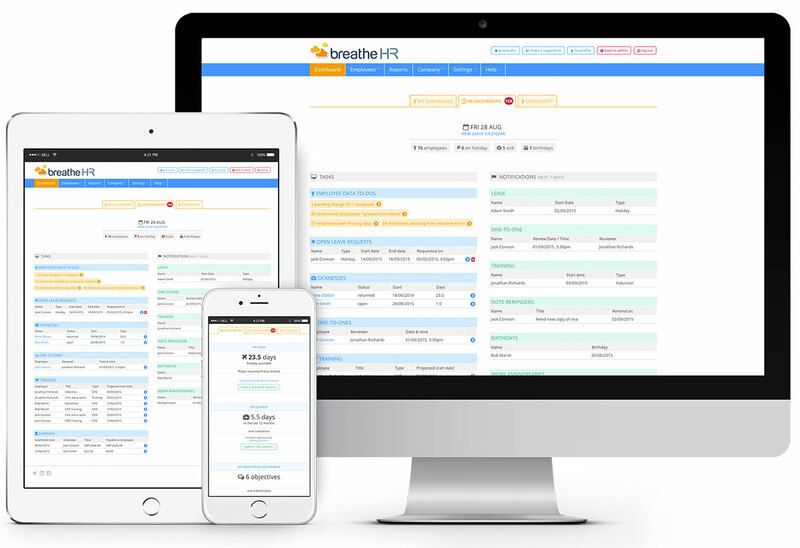 – easily manage and monitor employee sick leave and absences with the manager dashboard, central calendar and reports functionality. – generate custom reports that show only the information you need, allowing you to spot trends. – securely store or share documents with specific employees knowing that all your company and employee documents are in one easy to use location. – Set line manager and employee permissions to simplify your day and use the automatically generated tasks and email reminders to keep you on track. – Promote peer-to‐peer recognition and give praise, manage appraisals, increase communication channels, set one-to‐one meetings and align individual objectives to business goals. – Streamline information across your favourite systems and be rest assured knowing that your data has synced perfectly between platforms. Bespoke packages are also available, let’s have a chat.